Former officer of ISI and a British Reporter Asad Qureshi are freed by Kidnappers that where kidnapped a month ago from Asian Tiger group in North Waziristan along with another Former ISI officer Khalid Khawaja. Khalid Khawaja was killed by the Kidnappers few days ago. 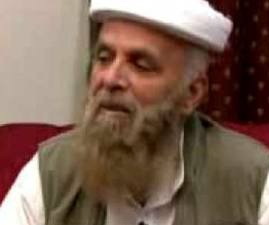 Kidnappers Asian Tigers blamed Khalid Khawaja of supporting the Lal Masjid operation due to which they killed him while in reality Khaild Khawaja not supported Lal Masjid operation. Even the Funeral of Khalid Khawaja was offered by former Imam of Lal Masjid Moulana Abdul Aziz. According to Some Defence analysts this group Asian Tigers is backed by Indians and they always attacks on those targets that are Anti India.